A good travel insurance policy may be one of the most important things you take with you on your next trip. The experts recommend investing in a plan that offers coverage for some of the common scenarios that can spoil any well planned vacation. Whether you’re worried about your trip being cancelled, your luggage getting lost, or your travel company going out of business, it’s a good idea to have a travel insurance policy that you can count on to reimburse your pre-paid expenses. In addition, you’ll probably want your policy to pay for medical care in case you experience ill health while you’re away. All travel insurance policies aren’t created equal. What you get can expect from yours depends on the type of plan you select. When shopping for travel insurance, there are some important factors you’ll want to consider to help you find the right match. Are you traveling for business or for pleasure? And are you going alone, as a couple, or taking an entire family? If you have multiple family members traveling, a family plan will usually be more cost effective than purchasing individual policies. In addition, you may need a plan specifically designed for international travel. The length of your trip will also come into play, since the coverage is limited to a certain timeframe. If you’ll be traveling for an extended period, you’ll need a policy that takes this into account. Your destination will also affect the type of coverage you’ll need to get. If you’re traveling within the United States, your current health insurance will probably cover your medical expenses and you may just need to worry about trip cancellation and lost luggage. But if you’re traveling abroad, your insurance might not pay foreign medical facilities directly, or may have high deductibles or caps on the total coverage allowed. Without a travel insurance policy in place, this could ultimately leave you with some hefty bills. Your age will also impact the cost of travel insurance. Seniors can generally expect to pay more than younger travelers. People with preexisting conditions may need to buy special travel insurance that either costs more than a standard policy or excludes their presenting issues. You’ll also need to consider the overall cost of the trip, since the more expensive it is, the more coverage you will need in case it gets cancelled. In addition, if you’re planning a sporting adventure, such as a ski trip or mountain climbing, you may want to find out about adding hazardous sports coverage, since accidents from such activities might be excluded under a standard policy. The timing of when you buy your travel insurance policy is quite important. In fact, some plans require the purchase to be done within a limited timeframe to be able to get full coverage. You’ll also need to know if there are limits on how many claims you can have for one journey. Let’s say you have a policy that reimburses up to $150 a day if your flight is delayed. If there’s a second delay on the same trip, you need to be sure that you’ll still be reimbursed for your expenses incurred for each delay. Some policies will allow this, while others may have restrictions in place. If you travel more than once a year, it can be worth looking into annual travel insurance that can cover you for multiple journeys. This is often the most cost-effective way to go for people who travel frequently. Some of the types of events that you may need travel insurance for include illness or death of you or a family member, being laid off of your job, your travel company going out of business, bad weather or other dangerous conditions that could jeopardize your plans. All of these details can be important, as are the details of what travel insurance will not cover, such as war, mental health problems and work conflicts. Therefore, you need to read the fine print, ask pertinent questions, or use a travel agent you trust to help you find the right plan for your situation. You can ask your travel agent for help selecting a reliable travel insurance policy, or you can shop online. 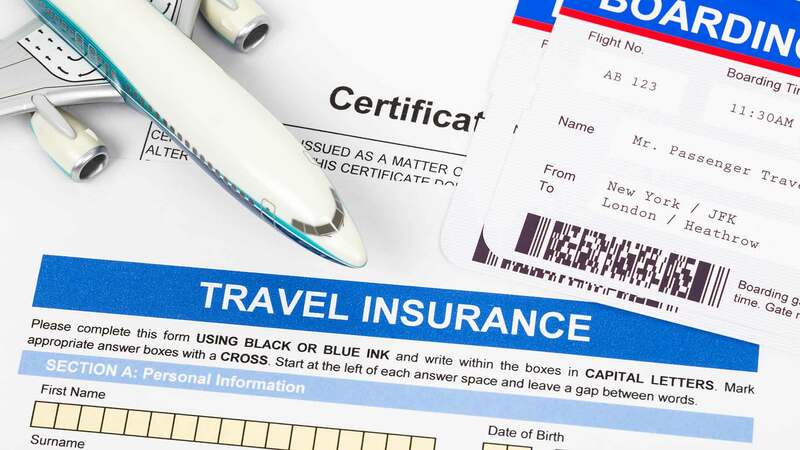 Most travel tour companies will offer travel insurance options, but they often cost more than if you buy a policy directly through a travel insurance company. If you decide to shop around, make sure that you’re comparing similar plans, since much variation exists in price, as well as in what you can expect. To help you weed through your options, you can visit the US Travel Insurance Association’s website and browse the member directory. There are also a number of comparison tools available online through some of the popular travel websites. Some websites that can help you explore the options that exist include InsureMyTrip, TripInsuranceStore and QuoteWright. If you prefer to go directly to the insurance companies themselves, a few to consider include Insurance Services of America, Access America and Global Travel Shield. What you spend on travel insurance depends on the cost of your trip and the level of coverage that you desire. Remember that the older you are, the more you can expect to pay for travel insurance coverage. The longer the trip and the farther the distance you plan to travel will also increase the costs of the travel insurance. Depending on the type of travel insurance you desire, you can usually find different levels of coverage to select one that meets your needs and your budget. Often there is an economy option, as well as a more generous package that provides the ultimate level of coverage. Many people find a travel insurance policy somewhere in the middle of the price spectrum that will provide them with the peace of mind they need without being excessive. Most travel insurance plans range from about 4 to 10 percent of the total cost of your trip. This means that if you’re planning a getaway that costs $5,000 total, your travel insurance will cost between $200 and $500, depending on your age and the level of coverage you want. While this may seem like a lot to add when you’re already splurging on a trip, if you have to cancel before you go or your travel is interrupted, you’ll be glad that you invested in a travel insurance policy that will cover your expenses or help you pay to reschedule. You can expect the cost of travel insurance to be between 4 and 10 percent of the total price of your trip, which comes out to between $4 and $10 for every hundred dollars you pay on your trip cost. While travel insurance is a worthwhile investment in many cases, it’s only as good as the policy you get. If what you select has too many exclusions or doesn’t reimburse enough to justify the cost, you could be throwing your money away. To help make a good travel insurance policy more affordable, it can be worthwhile to search online and look for discount offers and coupon codes that can help lower the costs.